Every business-owner knows that outstanding customer service is essential to survival. For beverage retailers, finding employees who are a good personality fit for your operation is just one part of the equation: you also need to make sure your staff are well-trained and capable of passing along detailed product knowledge to your customers. Hiring the right people, giving them a strong onboarding experience and providing them with ongoing training are all important components of customer-service success — which ultimately translates to success for your business. Finding strong candidates to fill open positions can be a major challenge. Businesses face strong competition in attracting top applicants. The hiring process can be timely and costly. Additionally, traditional interviews don’t always allow employers to gain a full understanding of applicants’ strengths and weaknesses. So what’s the best way to ensure you hire the best person? The process should begin well before the interviews take place. Retailers should take the time to assess the details of each position and the characteristics an ideal candidate will bring to the role. Instead of posting a generic “help wanted” sign or brief advertisement, make sure the job post truly reflects the nature of the position so it has a better chance of appealing to qualified candidates. Prior to conducting interviews, take time to prepare a thoughtful list of questions designed to draw out the kind of information you’re looking for in an applicant, which should include previous experience as well as overall personality type. TJ Douglas embraces this type of holistic hiring philosophy. He and his wife co-own the Urban Grape retail store in Boston, Massachusetts. After many years working in the restaurant business, Douglas decided that he wanted to bring a sense of genuine hospitality to the retail industry. His 2,500-square-foot shop employs about 13 staff and is unique in that it utilizes progressive shelving to organize wines by their body instead of by varietal or region. When the shop first opened, Douglas attempted to hire staff solely based on personality. However, he soon realized that wasn’t the only characteristic that played a key role. “People from this area are generally very educated about wine, so we need people working in our store who have some experience,” Douglas explains. When screening potential new employees, Douglas tries to identify people who will view the position as a career — not just a brief stint. In addition to experience in the beverage industry (Urban Grape currently has three sommeliers on staff, and one certified cicerone), Douglas looks for individuals who come from the hospitality industry, who can think for themselves and who are highly motivated. He’s also had success when people with advanced degrees. When new positions are posted, candidates are asked to include a cover letter with their resume. “You’d be amazed at how many people fail to do this, and if they can’t even follow the instructions given in a job listing, they are not going to be invited in for a sit-down interview,” Douglas says. Some retailers do tend to focus on personality above all else, and have been successful doing so. At Malloy’s Finest Wine & Spirits, a three-store, family-operated chain located in the Chicago suburbs, the focus is all on building a strong relationship with customers. When General Manager Rich Dabbert interviews job applicants for any open position, he focuses more on finding the right personality fit than honing in on a particular set of skills. Once you’ve hired awesome people, the most important thing to do is to make sure they have a smooth onboarding experience. Investing in an initial training period not only helps to assure that your new staff members get up to speed on everything they need to know as quickly as possible, but also allows the new employee feel more comfortable on the job right from the start, which can help increase overall job satisfaction and long-term retention. At Urban Grape, training actually begins during the three-part interview process. If candidates are invited to participate in a final interview, they’re asked to come into the store and spend several hours observing on the floor. Douglas says that this gives people a thorough, unromanticized look at what life in beverage retail is really like, and it also allows management to see how applicants interact with people in the store. It appears that Urban Grape’s process works. Of the 13 people who work for the six-year-old company, one person has been there more than five years, and two have worked there for more than four years. Most staffers have an average of one- to two-years with the company under their belts. When Douglas receives an e-mail from a customer or sees a Yelp review praising an employee by name, he has a moment of pride realizing that everyone’s efforts have paid off and that the company has succeeded in its ultimate goal, which is cultivating a positive experience for the customer. Steve Berg is Operations Manager with K&L Wine Merchants, a family-owned three-store chain located in California. Berg says that ensuring consistency is the hardest part of ongoing staff training. K&L’s customized computer software assists in making sure that all employees know what they’re doing. Malloy’s has no formal employee training program, but Dabbert says ongoing training happens organically on a regular basis. Each store employs about eight to ten people, and the small size helps to easily facilitate teamwork and communication. In addition to initial training, it’s imperative that store owners facilitate ongoing educational opportunities for staff. The focus of this training should include everything from new store policies to reviewing product offerings. Douglas encourages his staff to attend regular tastings, learn from distributors and bring back information to share with the rest of the team. At K&L, tastings are also a huge part of the ongoing staff training process. Berg says it’s not unusual for his team to taste between 75 to 100 different wines per week, in addition to spirit tastings. “We call it a ‘tasting environment’ because staff need to keep up on everything in the market,” Berg says. 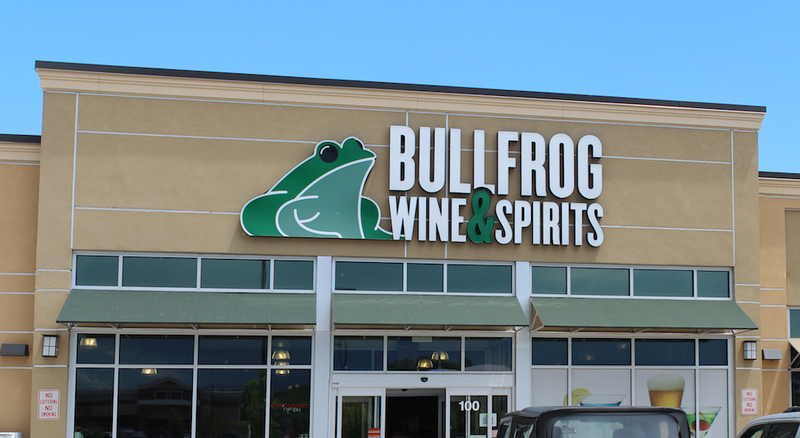 At Bullfrog Wine & Spirits, a retail liquor store located in Fort Collins, Colorado, General Manager Josh Beard allows staff to purchase new products they’ve never tried at cost, as long as they agree to follow up and have a conversation with him about it after trying it. ullfrog Wine & Spirits General Manager Josh Beard allows staff to purchase new products they’ve never tried at cost, as long as they agree to follow up and have a conversation with him about it after trying it. Developing solid hiring and training practices will ensure that your staff is well-prepared in all areas, and will also signal your dedication to their professional development, encouraging them to remain with your organization.